I wasn’t alive in 1966, so I can only imagine what it must have been like for a music fan—or better yet, a budding musician—as the energy of garage-rock pioneers like The Troggs, The Monks, and ? and the Mysterians started taking over the airwaves. Popular music had been dominated by the commercial juggernaut of the Brill Building sound, pairing professional songwriters with company singers and musicians. Suddenly, groups of friends were forming bands, amateurs with a love of rock ‘n’ roll, some raw talent and a basement or garage to plug into, and their music was somehow finding its way to the radio. Inspired by the original British Invasion, young musicians in places like Tacoma, Wash. (The Sonics); Austin, Texas (The 13th Floor Elevators); Los Angeles (The Standells, The Electric Prunes); and Boston (The Remains) found regional success before ascending to varying degrees of national recognition. But even when they “made it,” they clung to the looseness and vigor that the phrase “garage rock” brings to mind. The psychedelic movement pulled bands away from those structurally simplistic beginnings of guitar/bass/drums/vocals, but as you’ll see from the dates of the albums below, there have been almost as many “garage-rock revivals” as there have been young dreamers with a guitar and way too much exuberance. 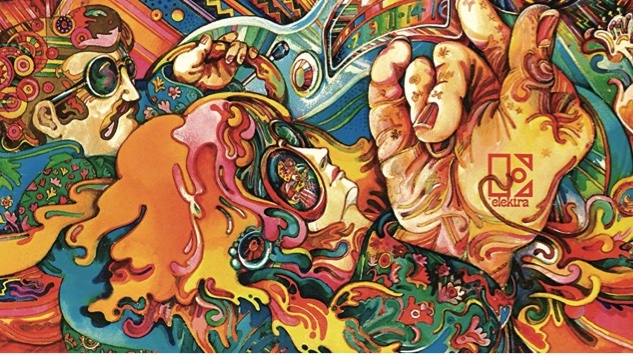 As short lived as that first wave of garage rock was in the mid-1960s (it didn’t even have a name until critics in the 1970s got nostalgic), few genres have branched into more great music (punk, psychedelia, post-punk, power pop, etc.) or had the staying power of garage rock. The editors and writers at Paste have voted for our favorite garage-rock albums since , defining it with our individual votes (“If you think it’s garage rock, then cast your ballot accordingly”). And while there are plenty of albums from the 1960s making the list, every decade since is represented, including one LP released just last year. As always, we limited the results to two albums per band in order to spread the love. If you’re a young musician starting to explore your instrument, you could do worse than drink from this particular well of inspiration.